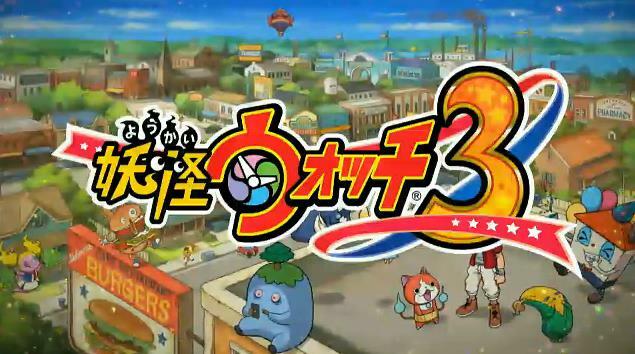 While we're just now getting Yo-Kai Watch 2 in North America soon, Japan is looking forward to Yo-Kai Watch 3, which is riddled with several different adorable features, namely the interesting "create your own cat Yo-kai" option. Not that you need another cat Yo-Kai aside from Jibanyan (just look up that heartbreaking back story) but it's still a cool addition nevertheless. 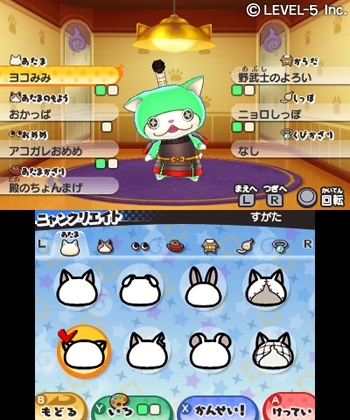 The "Nyan Create" system lets you choose from various cat bodies, faces, voices, colors, and shapes to put together a special Yo-Kai that's all your own. You can then take it into battle with you to level up and make sure it gets even stronger than before. If that's not quite your thing, there's a special "Zombie Night" area that comes out where you'll have to defeat special undead Yo-Kai using the "Doctor's Special Hammer." What kind of hammer is it and why is it special? Search me. But you can bet it's going to be creepy. 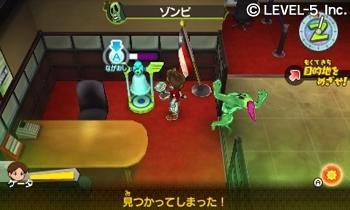 There are several new elements and systems to look forward to in Yo-Kai Watch 3, especially some areas based on the USA and a special rhythm game. The game is releasing in two halves, with Sushi and Tempura versions available, on July 16 in Japan. With the momentum Yo-Kai Watch is gaining in America, it should only be a matter of time before we see it here as well.